Faith is a lifetime journey through different seasons, not a one-time commitment. Typically, we experience summery days of joy and success, together with autumnal or wintery experiences of fear, disappointment and grief. In this candid look at Elijah, a man who not only had great faith, but also had to trust God through times of loneliness, misunderstanding, stunning accomplishment and heart-stopping fear, we can glean help for our own life journeys. Scripture makes it clear - Elijah was a man of God, but he was no angel, but a human, just like us. The man who ended up holed up in a cave of depression also was granted a leading part in the transfiguration of Jesus. He glimpsed both despair and glory. In tracing his travels, there's much for us to learn. 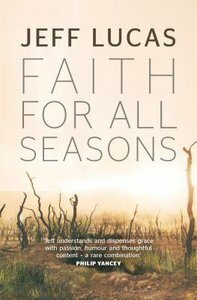 About "Faith For All Seasons"